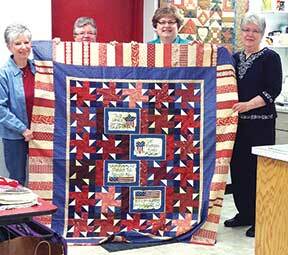 A daytime singing circle for women of all ages begins Oct. 27 at ArtHaus in Decorah. The Rutabaga Brothers were to perform this Saturday at McCaffrey’s Dolce Vita Restaurant. The performance has been canceled due to a personal injury in the band. It’s time to register for the 15th annual Community Vacation Bible Camp. The Winneshiek Women’s Network invites all women in Northeast Iowa to join us - women who would like to expand their social network, spend an evening a month sharing a meal with other friendly women, or share an event or other experience with others. 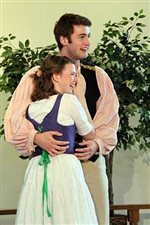 Upstart Crow Theatreworks will begin rehearsals for William Shakespeare’s “A Midsummer Night’s Dream,” the first week of March. So tell me how do I control my dandelions? ... and Liz Rog. The letter that Liz wrote about not spraying dandelions (5/14/2015), was well-timed. I had just gotten a flyer in my mailbox from All-American Turf Beauty, and I must confess that I was sorely tempted, mainly because in my front and side yards, I don’t have grass with some dandelions, I have dandelions with some grass, and the eastern three-quarters of my little backyard is mostly Creeping Charlie, with the remainder perversely growing in obscene, weed-free luxuriance at the rate of about an inch an hour. 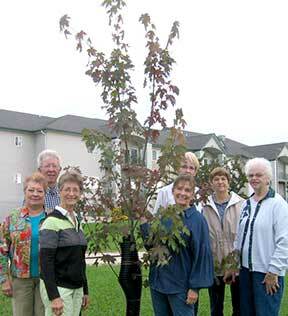 The Decorah Town and Country Garden Club recently planted an ‘Autumn Blaze’ maple tree at Vennehjem in memory of Elaine (Mrs. Gerald) Johnson. “What’s Your Spark?” is a series of free, weekly hands-on activity and reading programs for anyone age 10 and older, including curious adults. Running through Aug. 4, the series focus is on things to make, do and learn about that “spark” ideas and creative self expression; develop useful skills and build connections with others (human and non-human). The second meeting of the Single Women’s Social Network is a potluck at Pat Brockett’s house Tuesday, March 4, at 6 p.m. It can be challenging to live in a society that seems to demand we “do more” and “be more” – often with no regard for the impact our actions might have on others. In the rush of our daily routines, we can lose sight of the fact that peace is available to us in every moment. 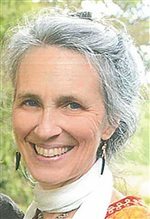 The concept of a more peaceful and mindful approach to living will be explored in the film “Peace Is Every Step,” being shown Sunday, March 9 and Wednesday, March 12, and sponsored by the Northeast Iowa Peace and Justice Center and the Decorah Zen Center.